So I'm a little bit homesick. I never thought I'd say that. It's not that I'm not enjoying my classes or having a good time. No, that's not it at all. I just miss the comforts of my house- my family, my bed, my shower seat, my mom's cooking. I could not be happier that I am flying back to South Carolina on Sunday. As Rhett Butler said, "I'm going back to Charleston. Back to where I belong." Well, at least where I belong right now. They say that scent is the strongest memory trigger. A few days ago, I really wanted to be reminded of home. 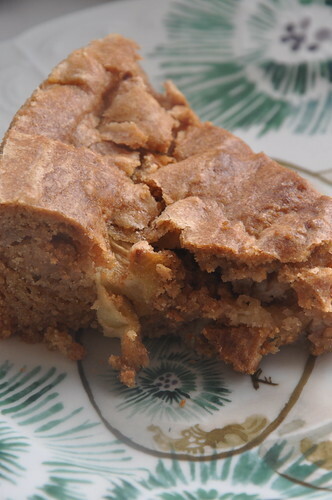 There is one thing that I associate quite closely with being at home- Carol Kelly's apple cake. Ever since we moved to Charleston, my mom has baked this cake. A neighbor and family friend gave her this recipe in exchange for our recipe for spaghetti bolognese. I have to say, it was a good trade. We usually have one of these cakes knocking around in our freezer, waiting for me to grab a slice, defrost it, and curl up in our green leather chair in the foyer, nibbling slowly (alright, alright, not that slowly) until my plate is clean. I begged my friend Theo for a few apples to dice up and throw into the cake. He happily obliged, asking only for a small slice in return. I had everything else floating around my room. That's part of the beauty of this cake. You will likely have all of the ingredients. Right in your pantry. Maybe that's why we made it so often. Or it could be because it's so delicious. It is a really heavy cake. I don't mean that in a bad way. 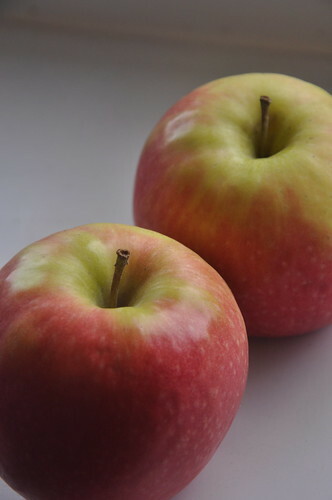 It's really satisfying- you feel like you could eat it for breakfast and be sustained well into the afternoon. 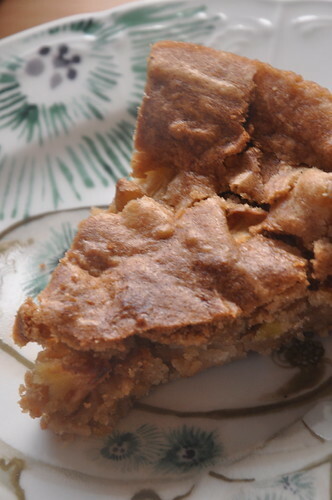 The little chunks of apple lighten it up a bit and add a sharpness that balances the rich, sweetness of the cake. The top bakes up into a beautifully crunchy, golden brown layer that crackles merrily when you cut into the cake. It's homey and humble but perfect nonetheless. Preheat oven to 350 degrees. Grease a tube pan. Beat eggs, sugar, and oil in a mixer. Whisk together the flour, salt, baking powder, baking soda, and cinnamon. Add dry ingredients to the mixer and beat to incorporate. 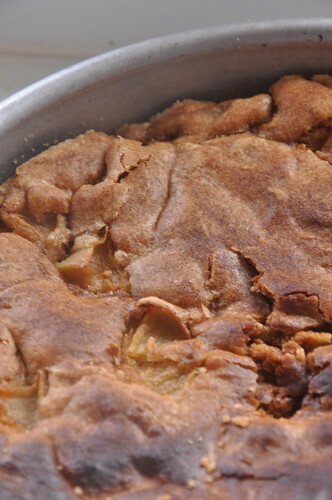 Fold in vanilla, nuts, and apples. Pour batter into the greased tube pan. Bake for 60-75 minutes, or until a toothpick inserted in the center comes out clean. Cool in pan for about 15 minutes, and then remove to a rack to cool. i am so happy to see that you are still keeping up with the baking book!